Hansen is an Antwerp-based gearbox designer, manufacturer and supplier, and is part of Sumitomo Heavy Industries Ltd Power Transmission & Controls Group. Dean replaces Eric Vuurstaek who has left the company. 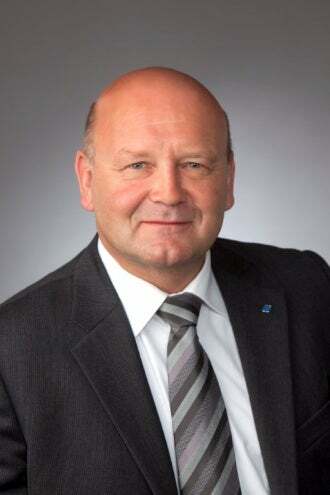 Shaun Dean also remains CEO of HIT’s ‘sister’ company Sumitomo (SHI) Cyclo Drive Germany GmbH (geared motor business) headquartered in Germany. He brings his broad experience achieved during various positions held as a top manager within the Sumitomo Heavy Industries Group, and is a seasoned expert in combining the Japanese and European business concepts and cultures. Dean, 49, is a born Englishman who relocated to Antwerp, Belgium. Dean said: "I am delighted to be able to further guide HIT with the continuing integration into the Sumitomo organisation and I look forward to work with the people of this company. "We must cooperate more closely together with the group companies, use synergies and optimise our product offering in order to meet both technical and economic challenges and to strengthen our market presence within the EMEA market. "Global strategies are currently also being fine-tuned at the Japanese HQ and the next round of product innovations is being developed. The European market is an important goal in the global strategy. Our customers operate in diverse industries and provide us with plenty of important feedback that we must implement in eg. our product development and service activities." Image: Hansen Hansen Industrial Transmissions CEO Shaun Dean. Photo: courtesy of Hansen Industrial Transmissions NV.